Two days ago a fanatically motivated attack on the journalists of Charlie Hebdo in France killed 12 people. It took me two days to find out whether I would write anything about this or not. Well, I decided to write. I didn’t know anything about Charlie Hebdo before the attack. If I had, well, I probably had not thought much about them. But I don’t necessarily need to agree with something to identify its value. Satire is an important part of the publishing system in democratic systems, but we fail to realize how important until publishers of satire become a target. A target of idiots with machine guns. But the problem isn’t idiots with machine guns. In a world where machine guns, bombs and weapons of mass destruction exist, idiots will sooner or later get their hands on them. That is a mathematical inevitability. The problem is that we depend on traditional journalism and publishing systems, and therefore a few brave men and women in the world to defend our beliefs (whatever they may be). The employees at Charlie Hebdo belonged to these. By depending on them to defend our beliefs we make these institutions a target. At least we used to. The internet and blogging in particular gives anyone the power to publish and voice their opinions. There is a reason why non democratic regimes all over the world fear the internet. Why even democratic regimes fear the internet. What they fear is the power of publishing. If anyone can publish, anyone can voice their opinion, spread their content and reach an audience. The internet doesn’t mean “freedom to voice your opinion” nor does it mean “freedom of press” – it means “freedom of publishing”. And the latter is a far greater accomplishment than most will ever comprehend. 30 years ago the attack on Charlie Hebdo might have been successful in silencing a journalistic endeavor. Today it won’t be. 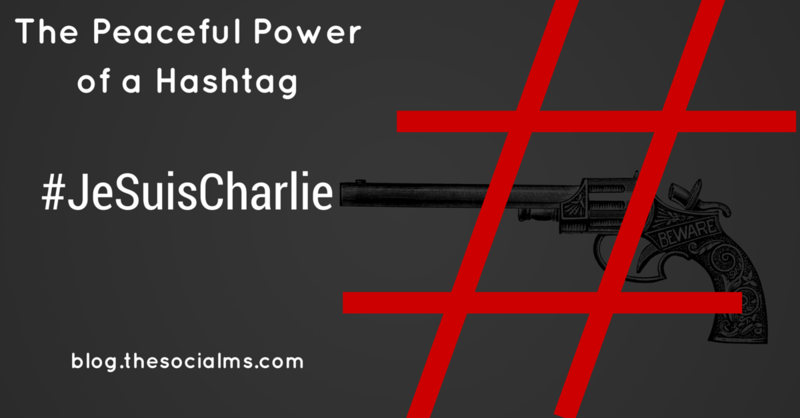 Because bloggers, publishers and web citizens can unite behind a simple hashtag, “#JeSuisCharlie”. The people behind the attack on Charlie Hebdo were following the belief system that you can silence opinions by simply killing those who voice the opinion. The internet has made this impossible. If you have followed the hashtag “JeSuisCharlie” on Twitter you will soon come to the conclusion that this crowd cannot be silenced. A simple tweet containing the hashtag #JeSuisCharlie and you have stood against the extremists that attacked our most fundamental beliefs. The idiots with machine guns in this world. And since society as a whole still hasn’t understood the power of our new publishing world, we still do not use it to it’s full extend. We should use this to voice our true opinions more – to unite behind hashtags. To show that we cannot be silenced. That doesn’t mean that if we had we would have prevented the attack Charlie Hebdo. You cannot prevent machine guns in the hands of idiots. But you can make them look even more idiotic. The protective power of the simplicity of publishing probably doesn’t protect those who stand in the front. But it protects our belief systems against those who attack them. “The pen is mightier than the sword.” This old quote might not be true, it might never have been true. But today’s simplicity of publishing might just be more powerful than machine guns. 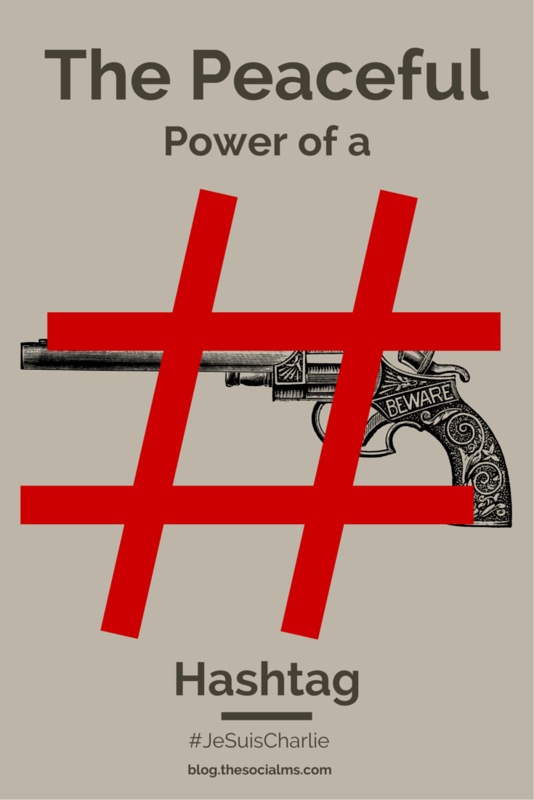 A hashtag might already be more powerful than a bomb. The employees at Charlie Hebdo were heroes. Not because they were killed. Not because they were killed by idiots. They were heroes long before they were killed at all. But because they defended our right to voice our opinions. I’m sure they didn’t think of themselves as heroes – but we should – at least that is what I think. And we are in debt to those who defend our rights. And we should honor them by carrying on what they did. Especially when it is so simple. I am a blogger – I don’t have to send my article to a newspaper and hope for them to publish it. This is the thought that brought me to write this post here. I will reach a few readers and Charlie Hebdo demands that I do. The simplicity of voicing our opinions publicly demands that we do. If the web makes it so easy to be Charlie – shouldn’t we all be Charlie? At least a bit?